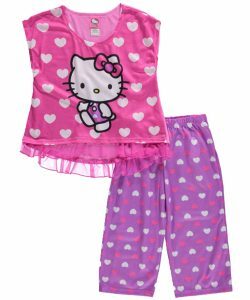 Cookie's Kids » All, Kid's Fashion, New Arrivals » New Girls Character Pajamas Are IN! New Girls Character Pajamas Are IN! Does she flip for all things Frozen? Perhaps she dreams of having her very own army of Despicable Me minions? Whatever the case may be, CookiesKids.com is here to make bedtime a little sweeter. Between our nightgowns, 2-piece pajamas, and mix-and-match pajama sets, girls are sure to find something comfy and emblazoned with her favorite characters. 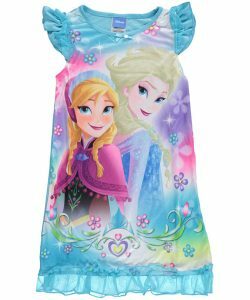 A flowy sleeveless cut and breathable poly jersey construction are just some of the summery features of this Frozen nightgown. 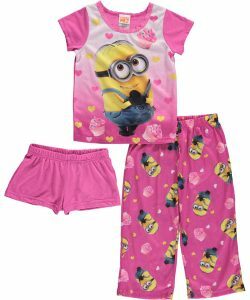 With long pants for winter and shorts for summer, these Despicable Me pajamas let her mix-and-match her way to comfort. 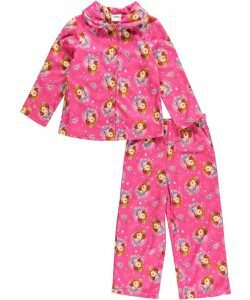 Sofia the First adds some cheer to this traditionally styled 2-piece pajama set. Hello Kitty and hearts – who could ask for a cuter combination? What character does your daughter love to wear to bed at night? Let us know in the comments or share your favorite bedtime photos with us on Facebook or Instagram!